Every gentleman should be a good cards player. So I have a question for you guys? Do you know something about their dimensions? Card games have been a much-loved pastime around the world for hundreds of years- there is evidence that people played cards in China as far back as the 9th Century. They were introduced to Europe in the 14th century according to this article by Ladbrokes and games like rummy, bridge, whist and baccarat continued to grow in popularity. 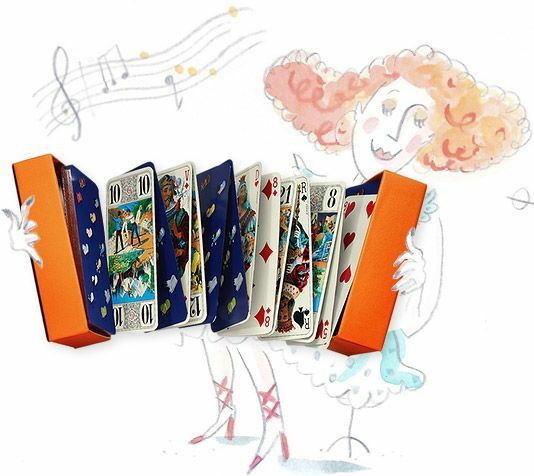 A pack of cards is small enough to carry around wherever you go, which is why card games are such a great way to pass the time on long journeys or when people are working far from home. In fact, poker was invented during the Gold Rush, when workers would bet with each other when they weren’t digging or panning for gold. Cards have always been small for practical reasons, but for some card games a standard size of card must be used, for example poker cards have to be 2.5 by 3.5 inches and bridge cards must be 2.25 by 3.5 inches. 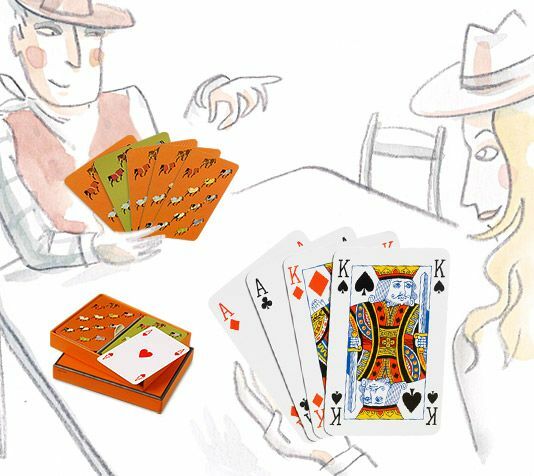 Often cards being made for not the purpose of playing poker or bridge are made to these measurements anyway, as it is more expensive to produce cards using different dimensions. Bridge cards are slightly smaller than poker cards because the nature of bridge- players need to hold many cards in the hand at once and so they can’t be too big. Sometimes bridge cards are used to play poker in casinos because bridge cards are cheaper to make. ‘Standard cards’ are cards that adhere to standards set by the International Organization for Standardization (ISO)- an voluntary organisation that sets global standards for paper, such as weight, size and shape. The ISO started in 1947 and in 1975 they created the size B8 which is used as the size of standard playing cards all over the world. The ISO’s B8 size is used for cards that are sold in shops as games rather than in casinos, although it is actually slightly smaller than both poker cards and bridge cards at 3.46 by 2.46, so in fact it would be well suited to bridge. Although it would be easier if every game used the standard card game, tradition dictates that there are specific measurements for different games- as well as bridge and poker, there are also size specifications for cards used to play blackjack and solitaire. There’s no law that says playing cards have to be a certain size, but manufacturers often stick to certain measurements because it’s easier and cheaper. HOW TO ORGANIZE THE WARDROBE. WHAT TO WEAR FOR A DAY AT THE BEACH.